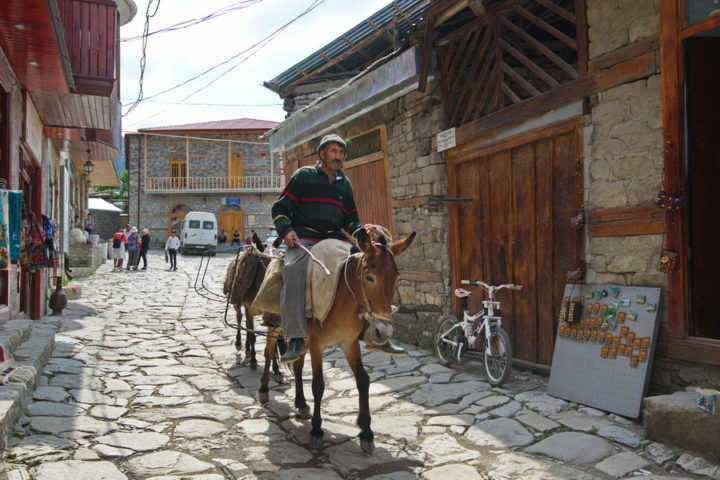 Azerbaijan Carpet Tour | Explore the traditional handicrafts of Azerbaijan. 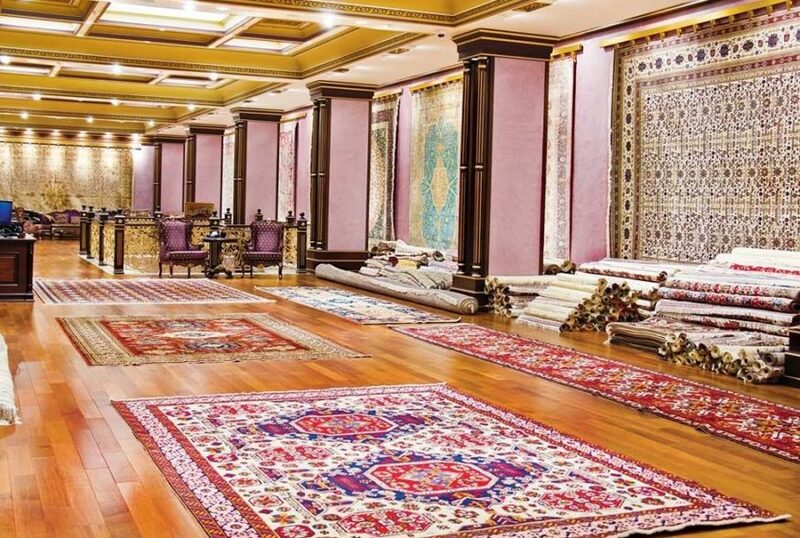 Azerbaijan Carpet Tour is a half day tour covering Azerbaijan Carpet Museum and Azer-Ilme Carpet factory. 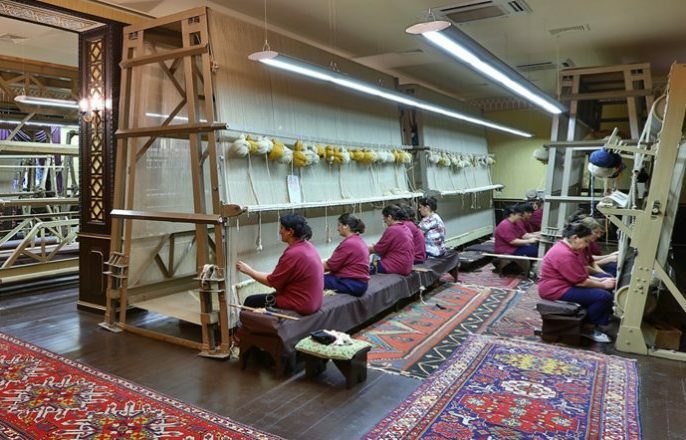 During the tour you will explore the largest collection of Azerbaijan carpets, also observe the entire production process. The art of carpet weaving in Azerbaijan has more than 2500 years old history. Azerbaijan carpets and rugs traditionally woven to cover the floors and walls of the houses and nomadic tents. It was an effective protection from the cold and rain. As the society developed, the variety of carpet patterns and designs grew. The carpets became an inseparable decoration elements of the houses. Today, carpets are the most widespread handicrafts in Azerbaijan. Our multi-lingual guide and driver will pick you from your accommodation in Baku. Tour departure time is flexible as it is a fully private tour. But considering the working hours of the museum, we usually start our tours between 10:00 am. and 12:00 pm. The whole tour will last around 3 hours. 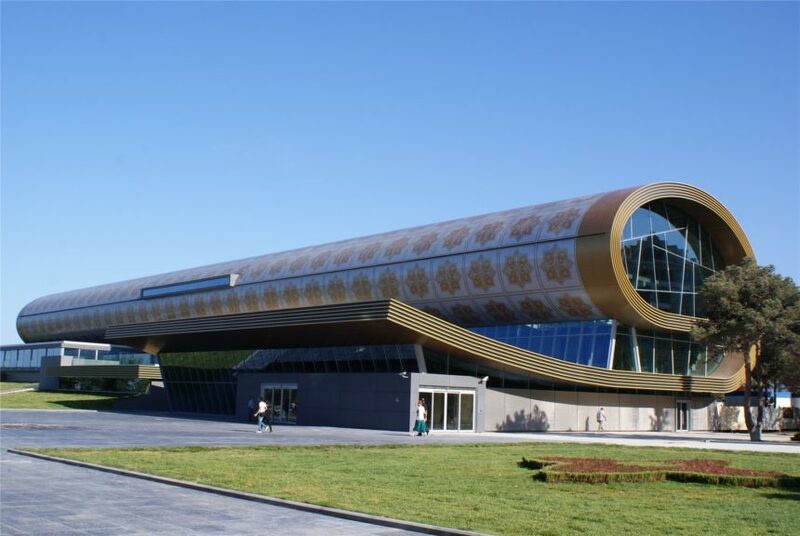 First, we will visit Azerbaijan Carpet Museum to see the Azerbaijani carpets and rug items weaved in various periods of the history. 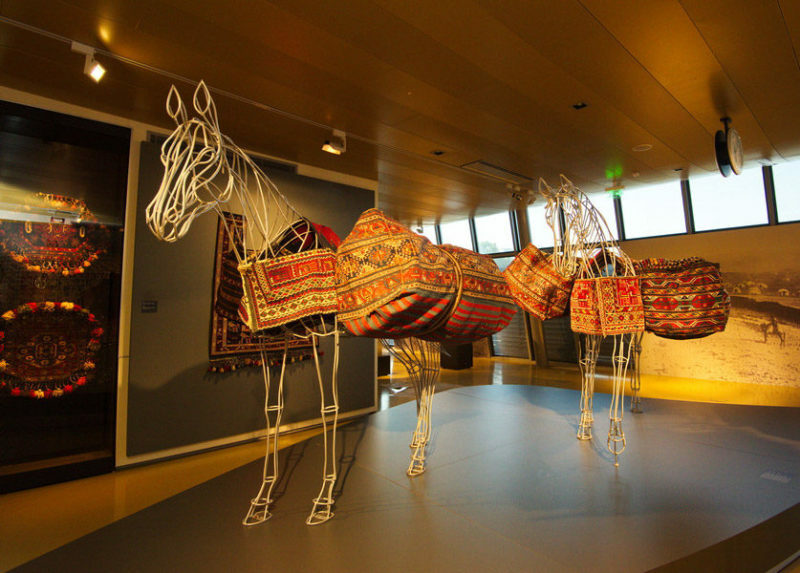 The museum has the largest collection of Azerbaijani carpets in the world. The collection contains carpets from all regions of the country, including South Azerbaijan. 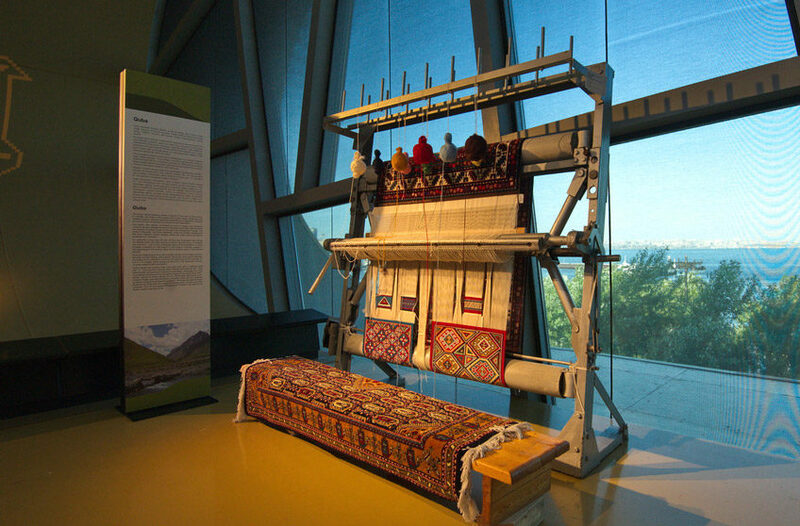 Along with the new exhibits, there is a group of rugs from the former carpet museum in Shusha. One of the oldest pieces in exhibition is a Tabriz carpet “Ovchulug” and the carpet “Hila Avshan” woven in Hila village of Azerbaijan. In the museum, you will have an opportunity to have a master class and try carpet weaving together with the local artists. 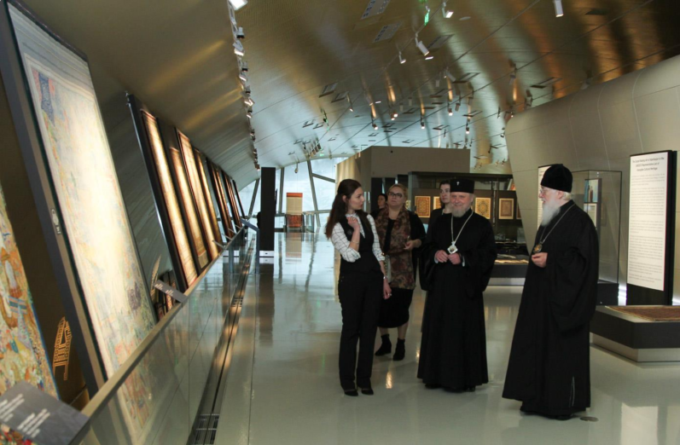 Apart from its valuable collection, the museum has very distinct architectural style. The structure of the building looks like a rolled carpet. It was designed by Austrian architect Franz Janz and took over six years to construct. Next, we will visit the carpet factory “Azer-Ilme”, where Azerbaijan national carpets are made by using the latest technologies. Here you will observe the entire process of carpet production including yarn dyeing, carpet weaving, carpet washing, drying and ironing. Also, there is an old carpet restoration department, where we will see how restorers, carefully restore very old carpets and rugs. Next, we will visit the carpet shop within the factory for shopping. You can buy your favourite carpets and other handicrafts here. After the tour, you will be transferred back to your accommodation. You have more time in Azerbaijan? Then, check our other day tours for more incredible activities. For reservations of 3 or more people, discounts will apply. Kindly, contact us for discounted rates. For reservations of 3 or more people, discounts will apply. Kindly, contact us for details. Dəyərli izləyicilərimiz, Qafqaz Qəbələ Yeddi Gözəl Otel..
© travelaze.com 2019. All rights reserved.